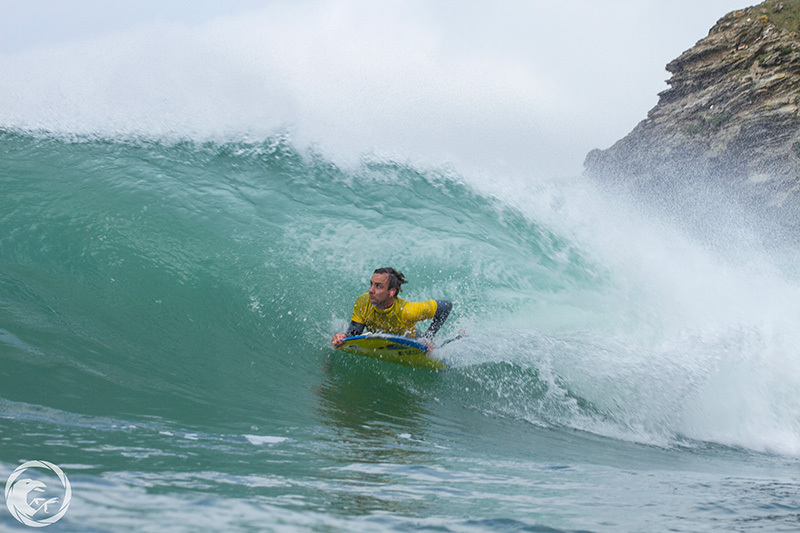 Perfect swell for Portreath as the new Cornish Bodyboard Series Event made successful start on the North Cornish Coast. Top British bodyboarders gathered on a familiar and favorite bodyboarding break for the first qualifying series and the launch of a new bodyboarding contest series. The first bodyboarding tour event to be held on the North Cornish Coast after a two year gap, with new and old bodyboarding talent, including former pro’s returning to competitive bodyboarding, showcasing their epic styles in the perfect swell. 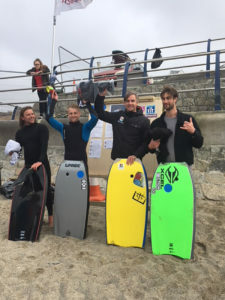 Portreath provided flawless bodyboarding conditions for the qualification event, which is the first of the Cornish Bodyboard Series, held last weekend on the North Cornish coast. Competitors were greeted with a 3-4ft swell, offshore winds and sunshine. After a quick briefing, competition started with the Quarterfinal heats. Early standouts included Lew Smart, Brooke Mason, Steve Hall, Rob Barber and Bjorn Storey. The Under 18 final included local bodyboarder Ben Keast and Moroccan bodyboarder Hamza Mizo surfing in their first ever contest and both put on a great display taking fourth and third respectively. Portreath local Luke Harper landed some tight rolls finishing second, while Perran Chapman used his local knowledge and contest experience to bust out some very critical maneuvers to take the win. The tide had crept up for the start of the semi final and waves started wedging on the inside shore break and outside on the reef, just off the edge of the Harbour wall. Competitors were forced to choose either the short punchy inside sections or go for the longer rides from the wall, which allowed multiple combinations of moves. The standard of riding was exceptionally high and after the dust had settled, the finalists included Lew Smart, Rob Barber, Alex Wake and Tim Brown. Straight away the boys split up and used every part of the line-up to put on their best performance. Lew Smart who surfed a flawless semi final had trouble finding the waves from his previous heat and settled for fourth. Rob Barber put together some great combinations of carving reverses and launching airs and rolls on the inside bowl coming in third. Alex Wake and Tim Brown both battling it out on both the reef and wedging inside waves and threw down huge inverts, carving reverses and solid barrels. It was a very close finish which resulted in a count back (third highest wave was scored because of a tie) and it was Tim Brown who came out on top. The finalists from the event will meet the finalists from the second qualifying event, which is to be held in May, to battle it out in the grand final in September. After a two year hiatus there are finally events happening in the UK, which is awesome to see. Thanks to sponsors The Pit, Boogtique, The Atlantic, ARS, Alder ,Finisterre, Thrash, Biskit Diaries and Section Bodyboarding for supporting the event with prizes and to Chris Webb and Dan Catten for organising the event.